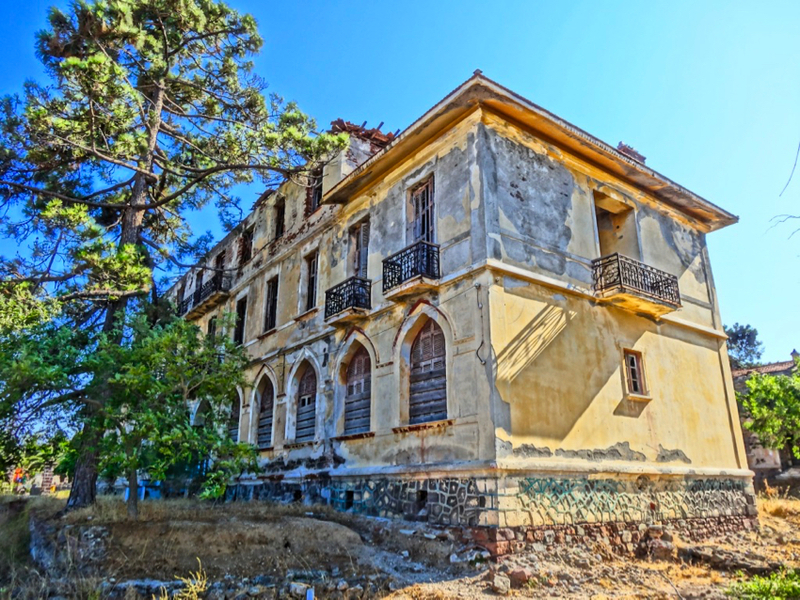 The Sarlitza Pallas Hotel and Spa was built in 1909 while the island of Lesvos was still under Ottoman control. 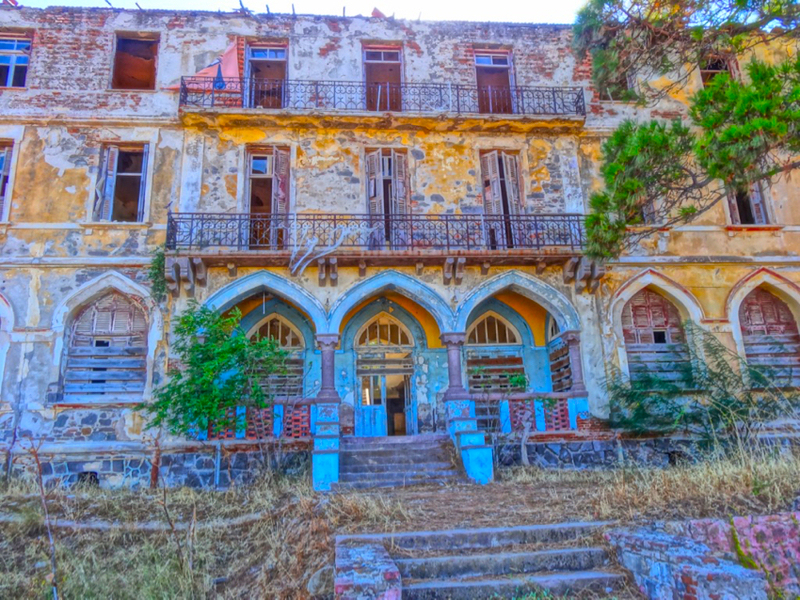 In its heyday it was not only the most beautiful hotel on Lesvos, it was one of the most beautiful hotels in Greece. 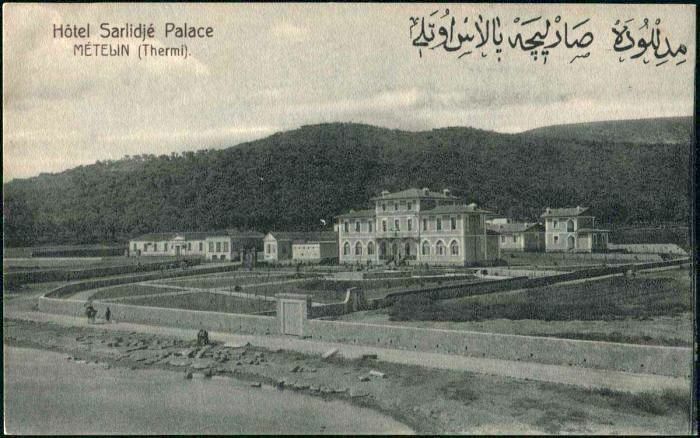 The name means 'The Palace of the Yellow Spring' after the ancient healing hot springs that bubble from the ground in one of the buildings next to the hotel. For most of the first half of the 20th century it was visited by kings, queens, heads of state and other famous people. 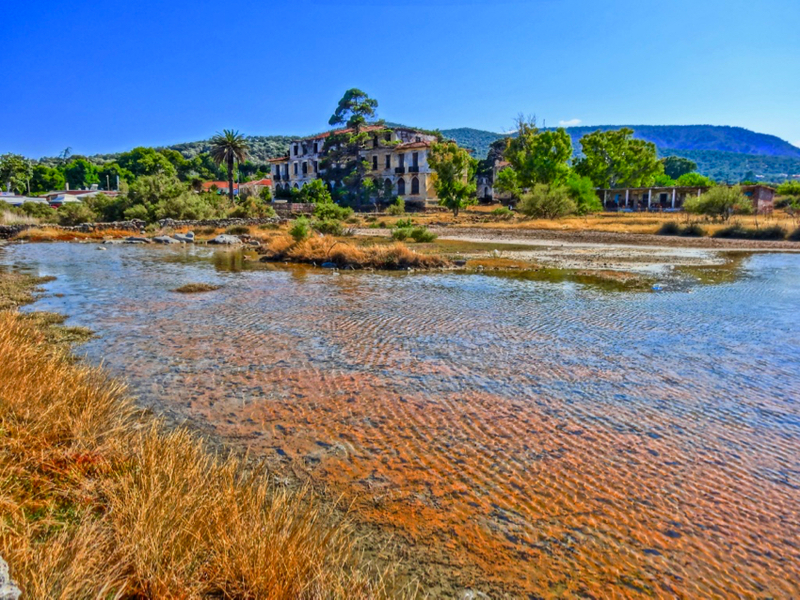 Even as late as the early seventies there were orchestras playing in the gardens on Sunday and the hotel was the center of activity for the town of Pirgi Thermi. Almost half a century later the hotel is still closed. 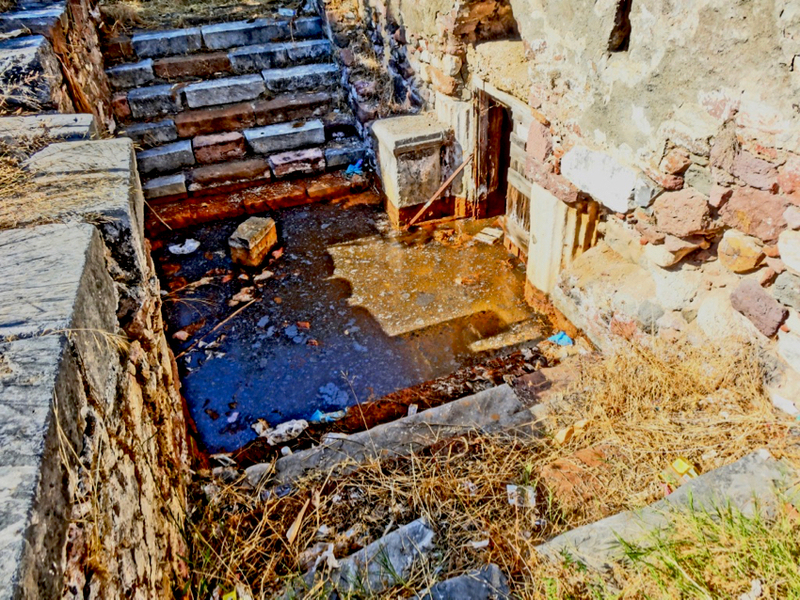 The Archaeologists have dug up the gardens looking for antiquities and left their trenches to be filled with garbage and the water from the hot springs which are also now closed. Apparently the last person to leave the building forgot to turn off the faucet and the land in front of the hotel has become a therapuetic bog that nobody in their right mind would want to put their feet in. 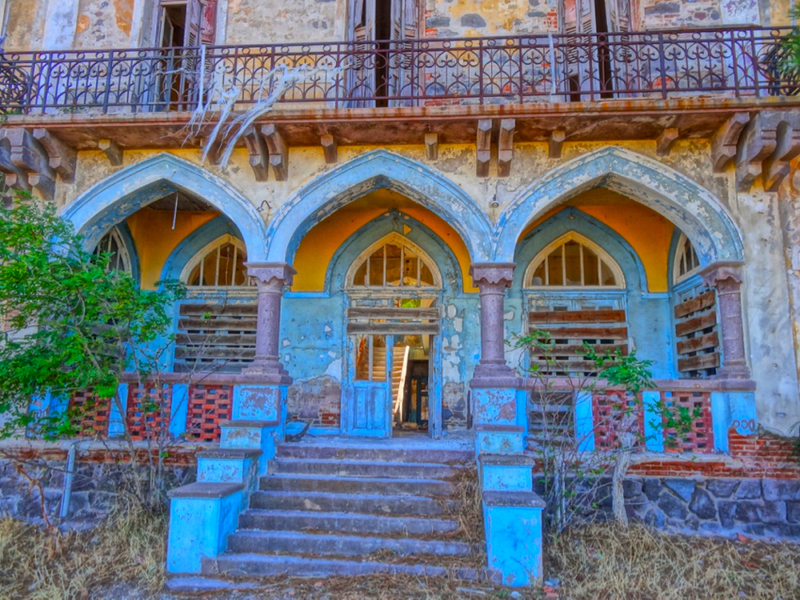 The building is collapsing and efforts to restore it have come to nothing, perhaps because it is just too big a job. It is a tragedy really. 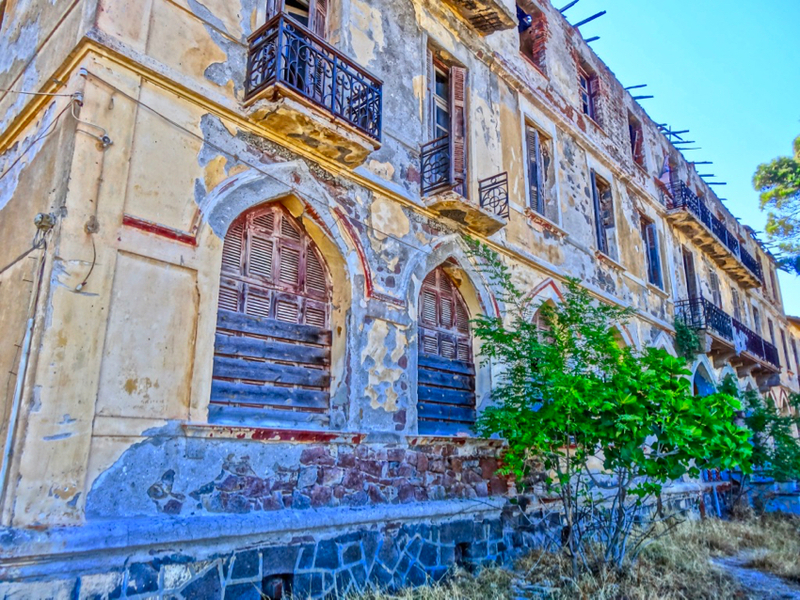 We were left something beautiful that should have lasted for centuries, but it was beyond our ability or perhaps we just didn't care and so instead of a hotel that should still be famous all over the world, we have a derelict building that people will visit because even in ruins it is impressive. Until one day it collapses and that will be the end of that. 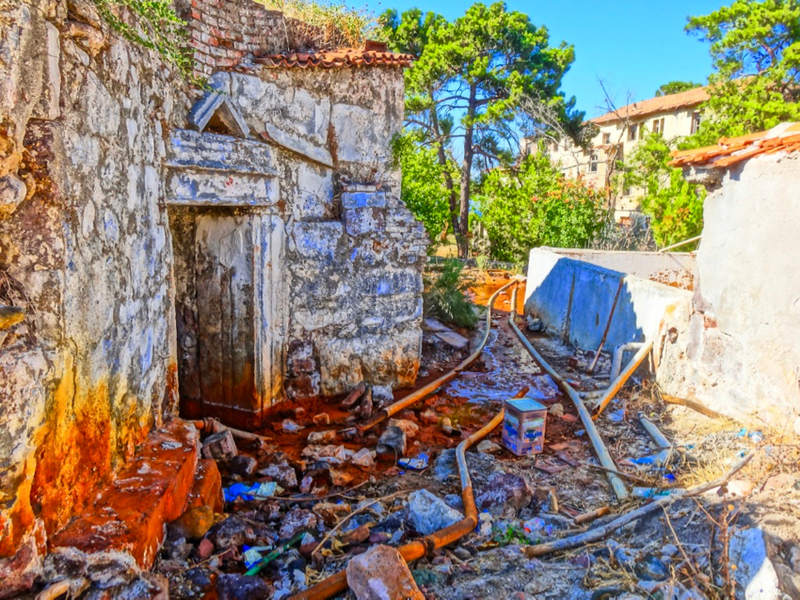 But hot mineral baths that have healing properties don't grow on trees so maybe someone with lots of money will take pity on the building and the people who live in Thermi and restore it to its former glory. In the meantime it is a tourist attraction, like a half sunken ship on a beach, or the empty skyscrapers of Detroit, or Chernoble. 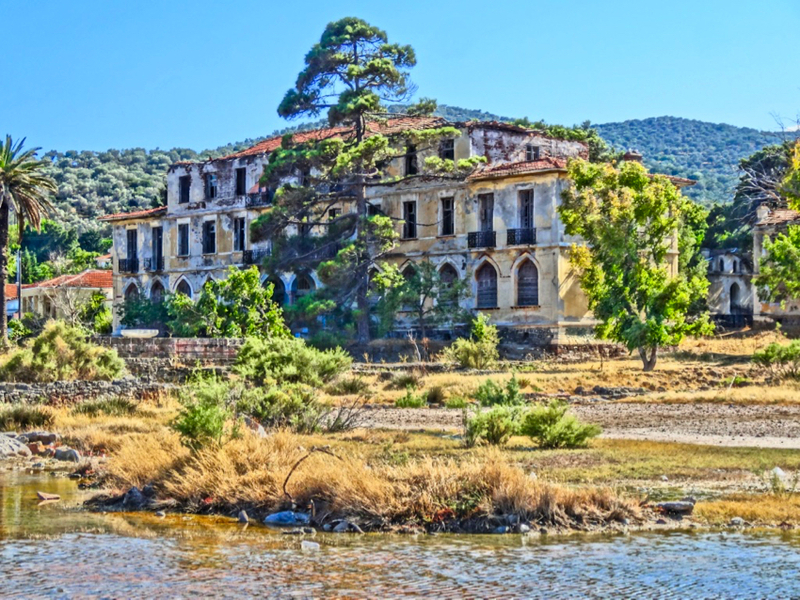 And the restaurants on the waterfront in Thermi are among the best, and the Monastery of Agios Raphael is known for its miracles. So come around sunset for a visit, walk around the building, and maybe say a prayer to the local Saints, Raphael, Nicholas and Irini, for the Salitza Pallas Hotel and then have dinner. If enough people do it who knows? Note the ancient columns at the entrance to the baths. Inside is the column that is featured in the iconic photo of an ancient column in the baths which used to be on the old tourist posters for Lesvos. Of course with all the crap in the water who wants to even go down there to see it? Such respect for antiquities. Waste not want not. Hot therapuetic spring water is gushing from these pipes and flowing into the ruins. If the water has such healing properties why don't they bottle it? Or at least turn it off until they find enough bottles.